Utility companies, oil and gas, alternative energy and manufacturing organizations require the ease of remotely controlling and regulating SCADA and other industrial control systems, but the advancements in connectivity and information technology also increases their exposure to inside and outside threats. For example, many different stakeholders, such as accounting, maintenance, and purchasing departments require real-time access to the data generated by the SCADA software. And many, if not most, SCADA platforms that communicate across Internet and wireless networks don’t have the necessary tools to protect themselves making these systems especially vulnerable to cyber attacks. While the number of attacks against critical infrastructure is increasing, many organizations that provide critical infrastructure are not as prepared as they should be to deal with cyber threats, employee negligence or third-party risks. Additionally, the sheer volume of intrusions attempted against SCADA systems every day creates the possibility that a cyber attack could penetrate the defensive systems in place on many networks. Cybercrime is one of the greatest threats facing our country: it has enormous implications for our national security, economic prosperity, and public safety. There have been numerous documented incidents recently where a control systems and IT networks were breached or became infected with malware. 1 out of 3 industrial sites are connected to the public Internet. 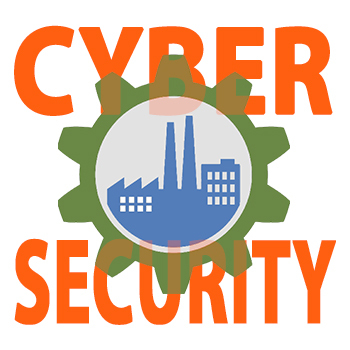 60% of industrial sites have passwords traversing OT networks in plain text. 50% aren’t running any anti-virus protection. About 20,000 different malware samples were found in ICS belonging to over 2,000 different malware families in 2016. Incomplete knowledge about network-connected devices. Legacy systems paired with newer technology may result in sacrificing mission-critical security. Casual patching practices. Consistent firmware and software updates, including patching bundled vendor packages is imperative. Incomplete monitoring. Many organizations are not getting actionable real-time threat alerts about security exploits. Discontinuity in system and user authentication can allow unauthorized users access to the system. Disparate policies and procedures. A unified security policy protects both information technology (IT) and operational technology (OT). IT security implementation. Most organizations have not fully deployed their IT security programs. With inevitable attacks on the horizon, security officers in critical infrastructure face multiple pressures, both internal and external, that affect business priorities. They need better information and new strategies for managing risk. InfoSight® helps asset owners defend SCADA and other critical infrastructure from emerging cyber threats. If your business demands the utmost in mission-critical security, resiliency, availability, and scalability, InfoSight® can help. Contact us today. Want to learn more? Download our whitepapers that address SCADA functionality, cyber vulnerabilities, and provide a roadmap to cyber security for organizations that provide critical infrastructure.